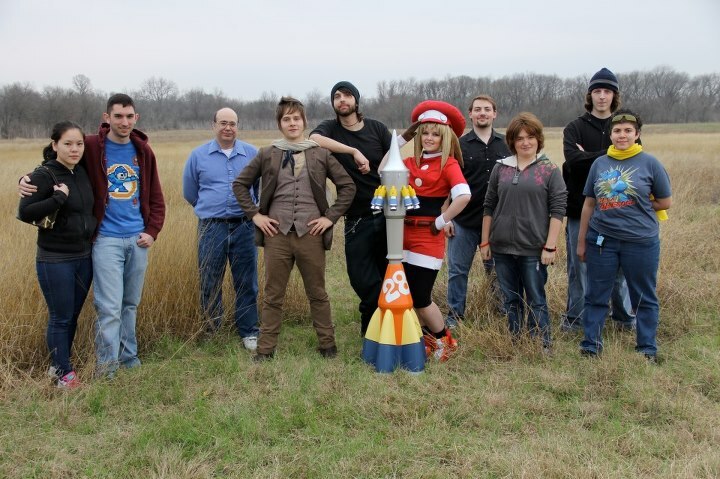 It will be a good four weeks before we'll see footage of Get Me Off The Moon's successful rocket launch. While this may seem like quite a long wait, Skybane Zero-x dropped me a note to let everyone know that the group wants to deliver a fantastically polished product in order to impress Capcom of Japan. In the meantime, you can check out a batch of pictures from the launch on the 100,000 Strong for Bringing Back Mega Man Legends 3 Facebook page. Yeah; the skies were pretty grim. But mother nature held her tongue, and the rocket kicked-offed without a hitch. Check out this post here for more details. A big congratulations goes out to the crew who made this happen. Onwards and upwards! Though this still probably won't mean a thing to them anyway. But I do still have to applaud these guys for their efforts and for the fun project. Even if it has no impact, which it probably won't, it's still a nice tribute all the same. Ditto. There are a lot of people supporting Legends 3 who are smart enough to know that the odds are against them, myself included. Glad to see this happen, and looking forward to the vid. I agreed with Dr. Jerk. I applaud them for their fan of Rockman Dash 3 but I do not think that it will mean anything to CoJ and CoA at all. At least, those guys tried their best. one giant leap for (Mega)mankind. This morning I got up and did a load of laundry with a Mega Man Legends shirt in the load. My cat watched. I also had some Mega Man memorabilia on top of the washer, and was totally wearing my double-sided Mega Man Universe promotional headband and some Data monkey undies. I'll be blogging about it and uploading some photos to Capcom Unity in hopes that this momentous occasion will change the tide and that we'll see these games released! I'm guessing a delayed rocket launch doesn't quite qualify as "pain" with regards to the potential "gain" of Legends 3 (Prototype). Now, if 100,000 fans got a Volnutt/Trigger full-body tattoo, that would be closer to the "pain" threshold required for a generic corporate response from CoJ.